Whether it’s helping yourself or helping others close to you, take ideas and inspiration from these new items this month. Transforming negative self-talk : practical, effective exercises / Steve Andreas. Beyond words : grieving when your child has died / by Andrew Thompson and Tricia Irving Hendry. The guide to compassionate assertiveness : how to express your needs & deal with conflict while keeping a kind heart / Sherrie M. Vavrichek. The parent’s guide to self-harm : what parents need to know / Jane Smith. The diviner : the inspiring true story of a man with uncanny insight and the ability to heal / Joe Cassidy. New Zealand’s first annual Money Week is happening from 2-8 September. Run by The Commission for Financial Literacy and Retirement Income (the team responsible for Sorted), the week will see a wide range of financial education events and activities being run by different organisations all around the country – all with the aim of raising awareness of how people can better manage their money and get help to do so. Come into Wellington City Libraries during Money Week to check out books, magazines and other resources we will have on display to help you get the information you need for getting your finances sorted. You can also visit our Personal Finance & Budgeting popular topic page on our website for more information, including new items, dewey numbers for finding more books on the topic, and links to other helpful websites and online resources. Be inspired by those who have pushed themselves to the limit with their Olympic goals this month and arm yourself with tools to reach the next level in your own life. Life coaching activities and powerful questions : a practical workbook for life coaches and all involved in personal development / Phyllis Reardon. E is for exceptional : the new science of success / Rob Yeung. The thing you think you cannot do : thirty truths about fear and courage / Gordon Livingston. The charge : activating the 10 human drives that make you feel alive / Brendon Burchard. The gifts of imperfection : let go of who you think you’re supposed to be and embrace who you are / by Brené Brown. 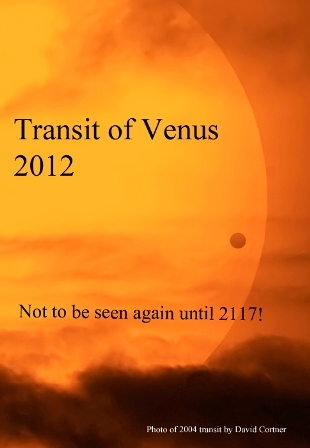 The Transit of Venus is TODAY! Well, sadly the weather may be stopping us from seeing the Transit of Venus as it happens here in Wellington today – but all is not lost. Come into Central Library today and see the transit streaming live from the NASA website by the display on the 1st floor. 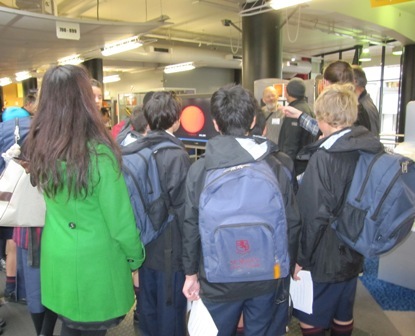 You can also meet and ask questions with members from the Wellington Astronomical Society who are available until around 2pm to talk with people who are interested in the transit or astronomy generally. So do come and take a look if you’re passing by – this is still the last opportunity in our lifetime to see the Transit of Venus and join in with thousands of people all around the world who will also be watching at the very same moment. And you can still also see displays about the Transit of Venus on the 1st and 2nd floors at Central Library at the moment, including items from our Rare Book Collection such as an original copy of Sydney Parkinson’s journal of Captain Cook’s voyage to Tahiti to specifically observe the 1769 transit (before he then further explored the Pacific, including New Zealand). And check out our Science popular topic page with links to books and good websites with more information about the Transit of Venus too. 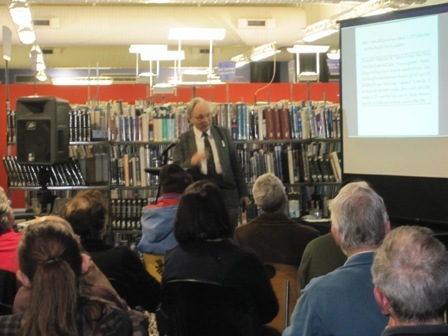 A big thank you to Professor John Harper for a great talk about Transits of Venus at Central Library last night. Both the scientific aspects of the Transit of Venus and historical notes of interests from previous transits were explained and brought to life by Professor Harper as he shared his considerable expertise and knowledge on this fascinating astronomical phenomenon. And thank you also to everyone who came along last night – it was fantastic to see so many of you who are interested in the Transit of Venus. If you would like to take the last opportunity in our lifetime to see the Transit of Venus yourself, you can join the Wellington Astronomical Society next Wednesday 6th June on the City to Sea Bridge (next to Civic Square) from 9.30am – 2.30pm to view the Transit of Venus as it happens (weather permitting). It’s so important that you don’t ever look at the sun directly as it will damage your eyes irreparably, but you’ll be able to view the transit safely with the Society, using their equipment. If the weather prevents any viewing outside on Wednesday the Society will be stationed inside the library on the first floor (by the current Transit of Venus display) and we’ll have live feeds streaming from around the world. Also, take a look at the website for The Royal Society of New Zealand, with a range of really good information about the Transit of Venus and what’s happening this year, including the 2012 Transit of Venus Forum – Lifting our Horizon and Pounamu, an online game which asks the question – “How do we treasure and build on what we already have – land, people, knowledge and connections – with new tools, new capacities, new connections and new ways of thinking to generate prosperity for all?” Sign up to play the game and have your say on the issues discussed at the Transit of Venus Forum. Only one week left to go until we will have the last opportunity in our lifetime to see the Transit of Venus on Wednesday 6 June. Fingers crossed the weather will be clear and sunny again like it is today for a clear view! 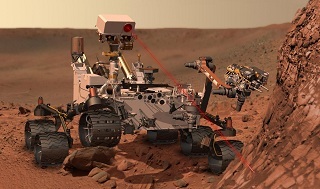 In the meantime join us at Central Library tonight (Wednesday 30 May) for a free talk at 7pm by John Harper (Emeritus Professor of Applied Mathematics, Victoria University) who will bring the story of the Transits of Venus to life in a free talk . Professor Harper will discuss not only what transits are and why they happen, but also why they were considered important enough for expeditions to be sent all over the world to observe them, and New Zealand’s role in previous transits. Don’t miss out on this great talk – there’s no need to book, just come along and join us on the 2nd (top) floor at Central Library, ready for the talk to begin at 7pm. And don’t forget that you can join the Wellington Astronomical Society next Wednesday on the City to Sea Bridge (next to Civic Square) from 9.30am – 2.30pm to view the Transit of Venus as it happens (weather permitting). It’s so important that you don’t ever look at the sun directly as it will damage your eyes irreparably, but you’ll be able to view the transit safely with the Society, using their equipment. If the weather prevents any viewing outside on Wednesday the Society will be stationed inside the library on the first floor (by the current Transit of Venus display) and we’ll have live feeds streaming from around the world. You can also see displays about the Transit of Venus on the 1st and 2nd floors at Central Library at the moment, including items from our Rare Book Collection such as an original copy of Sydney Parkinson’s journal of Captain Cook’s voyage to Tahiti to specifically observe the 1769 transit (before he then further explored the Pacific, including New Zealand). And check out our Science popular topic page with links to books and good websites with more information about the Transit of Venus too. Equip yourself with flying lessons and emotional equations for understanding – amongst other things – love and betrayal, angry brains and how to lose your mind to create a new one. Breaking the habit of being yourself : how to lose your mind and create a new one / Joe Dispenza. The science of love and betrayal / by Robin Dunbar. Flying lessons : how to be the pilot of your own life / Pamela Hale ; foreword by Alberto Villoldo. Emotional equations : simple truths for creating happiness + success / Chip Conley. Healing the angry brain : how understanding the way your brain works can help you control anger & aggression / Ronald Potter-Efron. Dip into the wisdom of previous generations – or irrational, thoroughly human behaviour here and now. Or gain new understanding about the power of introverts, your own unique emotional style, or how to build a new life in the process of overcoming verbal abuse. The wisdom of my grandmothers : lessons to live by, from one generation of remarkable women to the next / Adriana Trigiani. You are not so smart : why you have too many friends on Facebook, why your memory is mostly fiction, and 46 other ways you’re deluding yourself / David McRaney. Quiet : the power of introverts in a world that can’t stop talking / Susan Cain. The emotional life of your brain : how its unique patterns affect the way you think, feel, and live – and how you can change them / Richard J. Davidson with Sharon Begley.